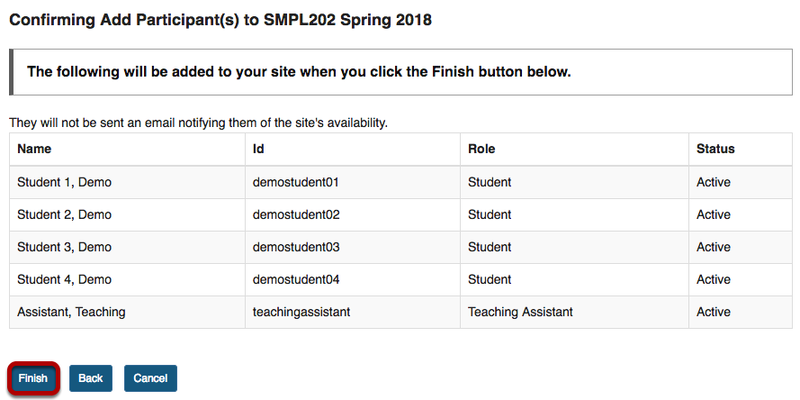 Sakai Guides and DocumentationSakai Basics Site InfoHow do I add users to my course or project? 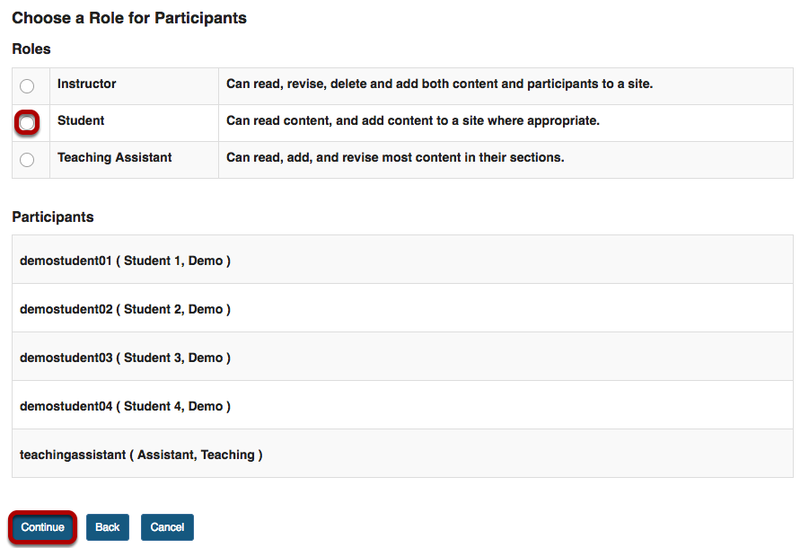 Zoom: Add participant information with text entry and choices highlighted..
Zoom: Choose a Role for Participants screen with Student role highlighted and Continue button highlighted. 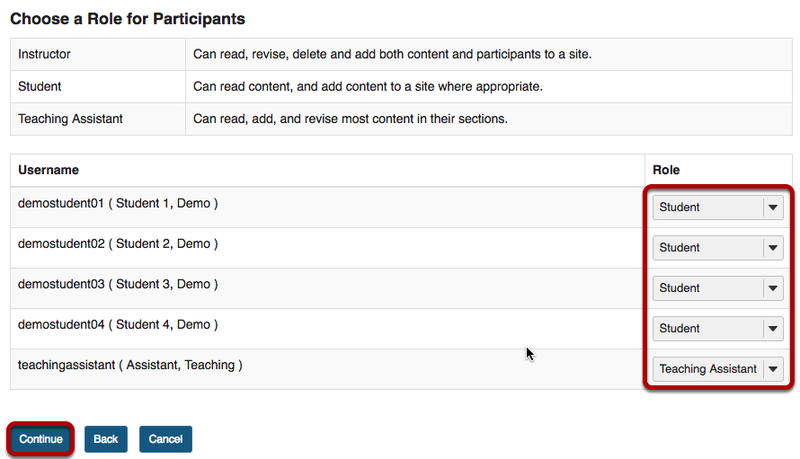 Zoom: Choose a Role for Participants screen with Role column and Continue button highlighted. 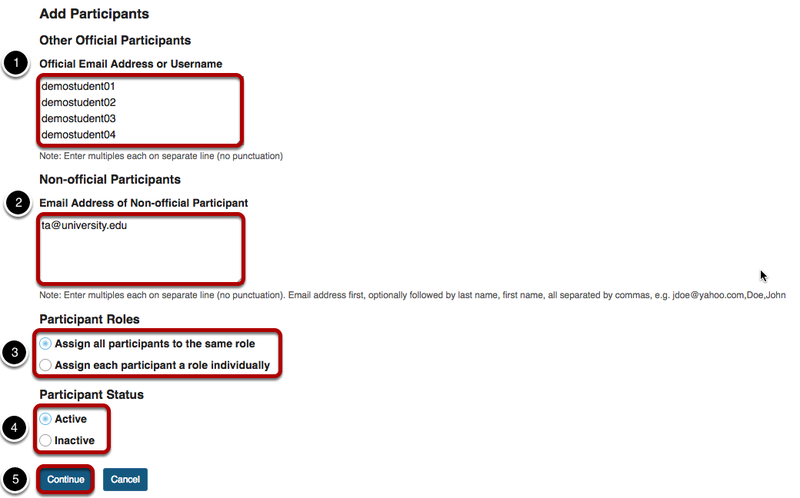 Zoom: Confirming Add Participants screen with Finish button highlighted.